Eleven years. That's how long it took for the Lok Sabha Secretariat to answer the queries posed by former MP Ramsevak Singh 'Babuji'. 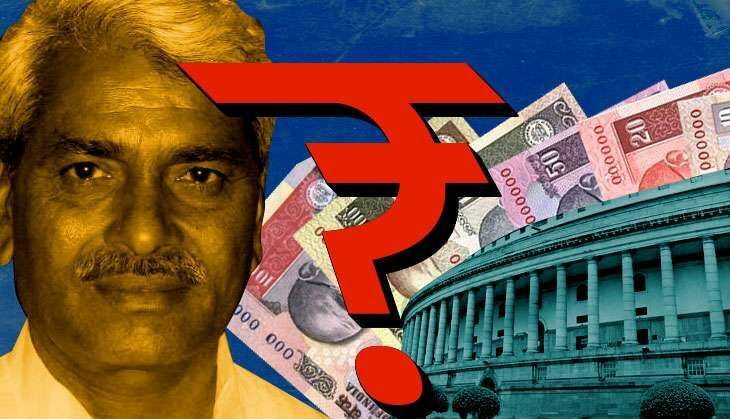 Ramsevak, a Congress leader who represented the Gwalior constituency in the 14th Lok Sabha, was caught on video accepting bribes for asking fictitious questions in Parliament in a Cobrapost sting operation aired in December 2005. A special committee of the Lok Sabha found him guilty on 23 December 2005, and following a motion calling for the expulsion of all 11 MPs caught in the sting, he was expelled from Parliament. However, Ramsevak kept insisting that he had never asked the question for which he was penalised. Claiming that the questions listed in Parliament did not have his signatures, he furnished all the related evidence to the Lok Sabha Secretariat on 13 December 2005, and asked why he was expelled. However, these questions were never addressed. Now, at last, the Secretariat has submitted a reply, following a reprimand from the Chief Information Commissioner (CIC). However, the reply puts the ball in Ramsevak's court, asking why he didn't approach the police if he was being wronged. Questions are being raised over the Lok Sabha Secretariat's stand on the issue. Why wasn't the same reply given at the time when the action was taken? Why weren't Ramsevak's claims investigated in due time? Disappointed with the apathy of the Secretariat, Ramsevak lost all hope, choosing not to pursue the matter. However, his son Dharamveer Singh, didn't give up. He met all the senior officials of the Lok Sabha, and even complained to the Lok Sabha Speaker under the UPA regime. His pleas went unheeded. However, the change of the government at the Centre gave fresh hope to Dharamveer. He wrote a letter to the current Lok Sabha Speaker, Sumitra Mahajan, on 15 February 2015, mentioning all the facts submitted by his father. "Cobrapost came up with its Operation Duryodhana on 12 December 2005. My father wrote to the Lok Sabha Secretariat on 13 December 2005, informing he had never asked the question he was being blamed for. He apprised the Secretariat of the entire conspiracy, giving details of how the questions were sent to the Secretariat by forging his signatures," informs Dharamveer. "Yet, the probe committee constituted by the Lok Sabha chose not to listen to my father. It was a big conspiracy against us. Although my father lost hope, I had decided to bring out the truth. I met with the subsequent Lok Sabha Speakers, but all of them expressed their inability (to help)." Since the action had been taken by the UPA government, Speakers appointed under its tenure were not willing to intervene in the matter. But after the regime changed, Dharamveer was encouraged by Mahajan's positive response. He wrote to her on 15 February 2015, providing details of the case. "The Lok Sabha Secretariat had caught six questions with the fake signatures of my father. I apprised Mahajan of all these questions. Yet, no action was taken. I have written four letters to the current Speaker till date. But, no answer came from the Secretariat," Dharamveer says. At last, Dharamveer filed an application under RTI. When the Lok Sabha Secretariat did not answer to his queries under RTI, Dharamveer approached the CIC. On 4 July, the CIC ordered the Secretariat to give all the information related to the case. In its reply filed on 1 August, the Secretariat accepted that Ramsevak had written a letter on 13 December 2005, informing about the forging of his signatures to field questions. The Secretariat has claimed that the details were given to the probe committee. The Secretariat has also admitted that it had received four complaints on Ramsevak's behalf on this matter since February 2015. However, it did not give details of the action taken on these complaints. More importantly, the Secretariat accepted that signatures on six of the questions allegedly filed by Ramsevak were forged. It has further asked Ramsevak why he did not report the matter to the police. "If Babuji did not file a police complaint, then why didn't Lok Sabha Secretariat initiate action on its own behalf? How could it remain silent when questions were being sent in the name of an MP with forged signatures?" he asks. Mandsaur: was the attack on Muslim women a plot to stoke communal riots? Babulal Gaur is attacking his own regime in MP. What's he playing for? लेखक पत्रिका मध्यप्रदेश के स्टेट ब्यूरो चीफ हैं.